Imagine a beach. Late summer, when it’s still warm and pleasant, but no longer too hot. Soft sand glittering under the morning sun, palm trees swaying in the breeze. The waves, high and imposing, drawing you in, daring you to take up the surfboard and mount them. Now, doing outreach can easily compare to surfing in a tropical paradise such as this. I own the wave, glide through water on my board, in perfect sync and balance. And I end up falling only 70% of the time. Think of the water like the matter it is composed of - an uncountable amount of imperceptible atoms and molecules. Though individually insignificant, together they can support the weight of a man, and, given time - even erode entire mountains and grind them into dust. Emails work in a similar way, their flow keeps the internet up and running. Too bad that the vast majority of those are unwanted cold emails and spam. People sending out those assume that a tiny percentage of them will be successful, so they aim for sheer quantity - when they should strive for quality instead. Their plan is to send out a gazillion of them and hope for the best. But how are you going to send that many emails by yourself? Well, guess you won’t. Instead, you’ll automate the entire process and send as many unpersonalized emails as you possibly can just to get your boss off your back. And when you send that kind of email - made for everyone, which means it’s tailor-made for no one - hardly anyone will even notice it, let alone open and answer it. And the cycle of endless emails continues. Thus, the spammy outreach email was born. You can probably guess that this outreach didn’t exactly wow me. That “seamless” transition from “You guys are awesome!” in the subject line, to “Err, could you do something for me?” The non-automatic lazy insert of our homepage - not even our blog page - that he claims to be such a big fan of. He, as an outreach professional, should at least have bothered to do some bare-bones research (there was no need to ask whether we accept guest posts - it’s stated clearly on our website) before contacting us. For us, it was never an option to do outreach like this. You shouldn’t do things that a trained monkey (no offense to MailChimp, those guys are awesome), or a machine could do instead of you, but be mindful of ways to improve and perfect your process. Hypothetically, the worst thing that can happen is that your email gets ignored and your success rate goes down. But is that really so bad? An important part of doing outreach is adapting your strategies to new and unexpected situations, coming up with different ideas, learning skills, and growing as a professional. Either way, the experience is key here - with enough time and effort (and trial and error), you’ll improve your communication skills, level up your writing, editing, and negotiating, and learn a lot about the industry and how it functions. I’m not saying you shouldn’t automate your process. On the contrary, you should implement a certain level of automation that will help you save time and focus on more important things. 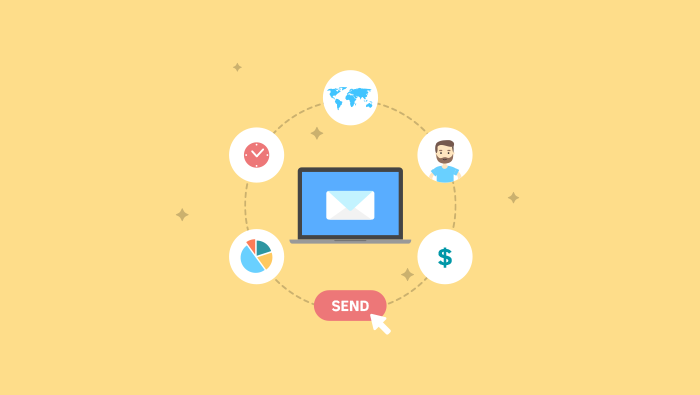 For this - we use Pipedrive CRM to generate emails, connect all the emails to deals, and remind us about certain activities. When you outreach, make sure that you only talk about ideas that are relevant to the person reading, and that you offer them something they will find worthwhile. This way you won’t have to obsess and worry about your success rate, and you will have the freedom to work on the quality of your research and outreach. I regard this as having only one chance to leave a good first impression (or an elevator pitch). And that’s basically how you should approach writing any first email. When we write emails, we think to ourselves what this person is interested in, what this email is about, why are we writing it in the first place, we strive to be brief and concise, and concentrate just on one action. And this is the most important part: be it link building, content promotion, NPS, or our incentive program, we focus on one thing and one thing only that the reader is supposed to do. If your company’s strategy and tone allow it, use wordplay, fun pop references, and similar tactics to grab the reader’s attention and make them feel amused and engaged by your entertaining attitude. For example, we sent out an Amazon gift card voucher as an incentive to leave a review of ActiveCollab on Capterra. We did this right after our NPS survey, as a way to thank all the people who took the time to participate in it. These were the users who responded really well to the NPS survey, so we decided to have fun with it. We’ve chosen a song that would be recognizable and put a smile on people’s faces. We made a simple connection to the gift card we would be sending them and asked that they do only one thing. The email is short, concise and unambiguous. I was the person who was sending out the NPS surveys, so they already knew who I am, they’d have a quick chuckle and a clear instruction on what is expected of them. I’m not saying that this email is perfect, but we’ve tried something different, took a chance, and it was pretty well received. Our success rate went over 20%, and we were excited about the results. This is just one of the many things we constantly try out, but it proved that it pays off to test, innovate, and always think about new ways of interacting with your customers. Approach with care and try to develop their attention and interest, do one project together and only then start building a long-term relationship. My experience is that people react really well to this and are more likely to respond or do what you’ve asked them to. An obvious but often overlooked way to do this is to emphasize and try to put yourself in their shoes. We’ve all received scores of dull, stupid, and sometimes even offensive emails, so always concentrate on the type of content, style, and requests you yourselves would find worthy of reading. Even if they don’t comply with your proposal, they will still appreciate you taking the time to put together something that speaks to them as human beings, and not just as consumers. And with this, your company and brand’s reputation will continue to improve, and trust is something you can’t buy - it must be earned with good deeds and a friendly attitude. Keep steady, calm, and focused, and remember - respect the wave and the wave will respect you back.